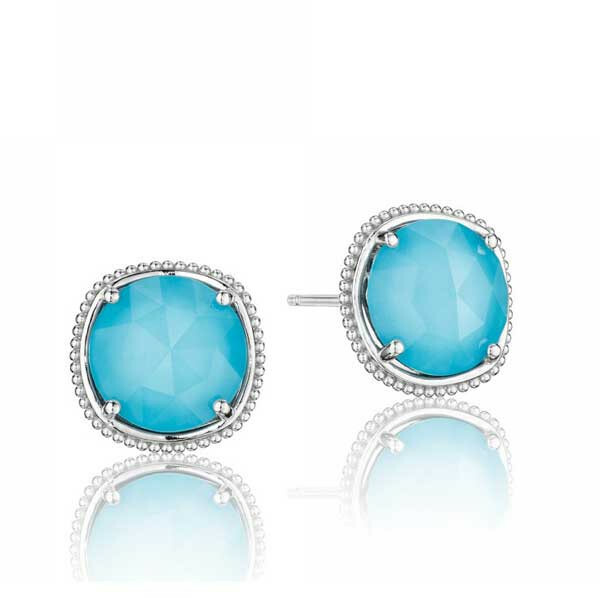 From Tacori, these colorful studs are part of the Island Rains collection. A refreshing layer of neolite turquoise is paired with a faceted layer of clear quartz, and it's set in sterling silver with milgrain details. The post backings will keep this elegant pairing comfortably in your ears. You will sparkle naturally in these gorgeous Tacori studs. Tacori Island Rains Multi Gemstone Cluster Pendant Necklace 18"